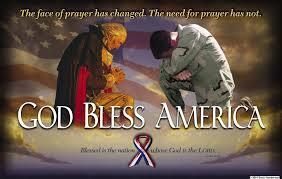 A nation is blessed when it honors God, when it obeys His commandments. Likewise, a nation is cursed when it dishonors God by disobeying His commandments. Then will I pluck them up by the roots out of my land which I have given them; and this house, which I have sanctified for my name, will I cast out of my sight (2Chr7:14,19,20). Will be fruitful and productive. And people will be afraid of you. Only to flee in many directions from you. And bless all you set your hands to do. He will make you the head, and not the tail! You will be above only, and not underneath! FOR I AM THE LORD YOUR GOD! Because of your wickedness in forsaking me. Your enemies will come against you and you will flee from them. Others will get ahead, higher above you while you will keep going down lower and lower. All of this and more will happen to you because you refused to listen to me and obey my voice. And with gladness of heart for the abundance of your blessings. and have no assurance of your life. America is fast becoming a byword among the nations of the world. 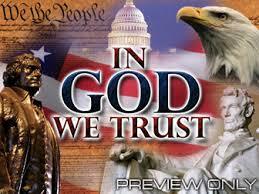 The immorality and corruption of our leaders have brought America to the brink of God’s judgment and destruction. Passing laws that are against the Word of God by approving immorality among the people is a stench unto God. As God destroyed the ungodly and the world during Noah’s days, and Sodom and Gomorrah, He will likewise bring judgment upon America. AMERICA, Sweet Land of Liberty! IS AMERICA STILL THE SAME AMERICA THAT I SANG ABOUT AS A CHILD? Will this song that was sung by American patriots and scouts be sung much longer? Will God still honor the words of this song? I never knew that there were 8 verses, but I still remember verses 1 and 4 by heart and taught it to my students in school.